Affiliate marketing is a unique form of marketing in which other companies agree to help you sell your product or drive traffic to your website, in return for a portion of the profits from each sale they send (see Figure 7.1). Commissions can be paid based on clicks, sales, or leads/acquisitions. In some cases, affiliates are referred to as "partners" because they are acting in the best interest of both parties. If you are on a website and are interested to see if they have an affiliate marketing program, links to the programs are usually included in the footer at the bottom of the site. 1. A customer visits an affiliate website. 2. The affiliate website directs the customer to the brand/seller, where the actual transaction takes place. 3. The brand/seller compensates the affiliate with a portion of the profit. 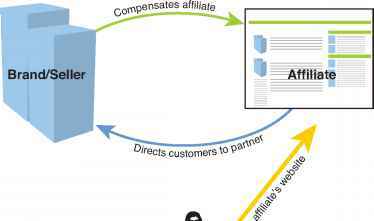 Figure 7.1 Mobile affiliate marketing helps the buyer find the brand/seller and helps the affiliate and brand/seller earn money. It's a win-win-win. Public domain image. In the traditional model, affiliates create websites or sometimes micro-sites to help promote a brand or product for another company. Affiliates use traditional online marketing strategies to promote the website, such as SEO, PPC, email marketing, and online display advertising. Generally, because affiliates are not a direct agent of the brand, but instead are recommenders of the brand, they have license to be more aggressive with their marketing tactics. One of the easiest ways to begin an affiliate program is to work with one of the major affiliate networks, such as Commission Junction or LinkShare. When you decide to work with an affiliate network you go in as either an advertiser or a publisher. Advertisers are the affiliates; they work to promote products and brands. Publishers or merchants are the companies with the products or websites that they want to promote. Publishers/merchants sign up with affiliate networks so that the network will help them find affiliates to market their goods or services. As with the traditional Web, the original affiliate programs were launched by the adult industry and were quickly followed by the casino industry and then travel. In the traditional world, Amazon was the first major retailer to create a mainstream affiliate program. All the traditional affiliate programs should work on true Web-browsing phones that are capable of passing cookies, but since not all mobile phones are capable of passing cookies, it can be a risky proposition. If you believe that you may be passing a lot of affiliate traffic from visitors on mobile phones, it might be a good idea to set up an alternate form of tracking, such as passing a variable in the URL, to ensure that you are getting full credit for all of the mobile traffic. No major mobile-only retail affiliate programs have been developed or aggressively marketed yet but this will no doubt change as mobile tracking improves. One of the benefits of being an affiliate is that you can use one website to drive traffic to multiple affiliate programs. For example, if your company/brand were a part of multiple travel affiliate programs, you could create city- or state-specific sites—or micro-sites—and link from those sites to a variety of different affiliate programs, making money on every click from your site and still providing value to the user. Currently, most of the mobile affiliate marketing is to help promote mobile Web content, specifically ringtones, wallpapers, and games. These are an obvious fit for mobile marketing because they can be downloaded straight to the phone. Cellphone accessories such as clips and covers are also commonly marketed through mobile affiliate marketing, but these are more difficult to work with because the purchase must be made over the handset. If users find what they are looking for and then transfer to a traditional computer to make the final purchase, the affiliate tracking code is lost and the affiliate will not get its commission. The most likely avenue for more mainstream affiliate marketing will be as a part of a mobile comparison-shopping or product engine such as Amazon or eBay. There's also a chance that mobile affiliate marketing will not take off beyond ringtones, games, adult, casino, and travel categories, but that remains to be seen. In some cases, it might make sense for your company to start its own mobile affiliate program. An affiliate program is a good way to fill in the gaps in your existing marketing strategy and can be a boon for many companies. A mobile affiliate program creates the potential for an army of marketers working to promote your products, who are paid only when they successfully pass traffic or sales to your site (much like being paid on a 100% commission basis). The commissions you pay your affiliates will never cost as much as it might cost to hire employees to do the job that your affiliates have done for you. An affiliate network can also help drive natural search traffic because it ensures that your competitors' websites are pushed lower in the search results by your affiliate websites that rank for your key terms and point back to your site for the final sale. The one thing you have to be careful about here is to make sure your affiliates are not doing a better job of ranking for top key terms than you are. If they are, you will be paying out more commission than necessary. Similarly, if you are bidding on brand-related terms in PPC, it might be a good idea to create a list of keywords that your affiliates are not allowed to bid on, because the increased competition will only make all the PPC clicks more expensive. The next problem is that some phones are better equipped for mobile e-commerce than others. If your affiliate program is paying out for click-throughs, but visitors are having trouble completing a transaction when they are on your website, the cost of the click-throughs will start to add up. When this happens, the return on investment (ROI) will be low or negative because no sales are being made. The same is true of acquisition sites that are seeking only to collect email addresses or phone numbers so that people can be marketed to later (that is, the affiliate isn't selling a product or service, per se; the affiliate is simply collecting information for your company to use later for marketing purposes). If people have problems filling out the form on their mobile phones, the acquisition and the commission are both lost. If these two hurdles are affecting your mobile affiliate program, consider paying only for effective and complete conversions and don't include click-throughs as a commissioned conversion. Stop Being A Victim Of The Search Engines. 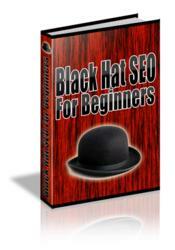 Quickly And Easily Outsmart Your Way To Six Figures Using These Powerful Black Hat Strategies! 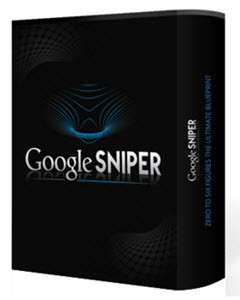 Slap Search Engines In The Face And Grab Top Rankings, Now!